View 1, 3, 6, 12, 18, 24, 30 & 36 mo. pricing for each rate class and rate code. View Every Utility, Zone, Rate Class etc. Save time and get pricing to your sales force immediately! 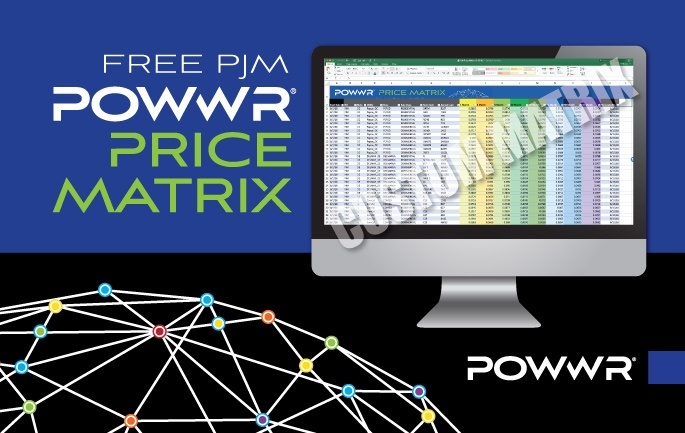 Organize the prices into a single, easy to search Matrix file. Customized by your specific margin and adders. Delivered straight to your e-mail or FTP site daily. Give us some basic pricing parameters like wholesale adders, target margins, interest rates etc. Save time and simplify your price offerings!